Megadeth bassist David Ellefson was recently interviewed by KBAD 94.5, you can read some excerpts below. About what advice he would give to young, aspiring musicians, Ellefson said: "I got rolling when I was, like, eleven, twelve years old, picking up the bass guitar, putting bands together, playing in the region, playing around. For me, I had to leave here, I had to get out of here, in order to go find the elusive success, which, fortunately, I found in Hollywood, California. There was a school there called Musicians Institute, which is still there, and that was really the hub. And, of course, I told my parents, 'I might go to school.' But what I really wanted to do was form something like Megadeth. And I met Dave Mustaine right after I moved there, and against all odds, he and I have become successful." He continued: "Be committed to what it is you wanna do. My first thing is, man, play with everybody; play with as many different people as possible when you're young. As you get older and your career goes on, you will start to focus and define your style and your sound. And from there, you try to get really united, like I did with Dave. 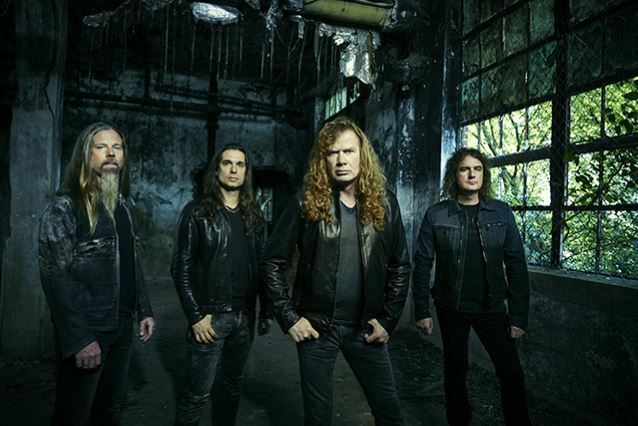 I mean, he and I have hung together pretty much most of the Megadeth career." 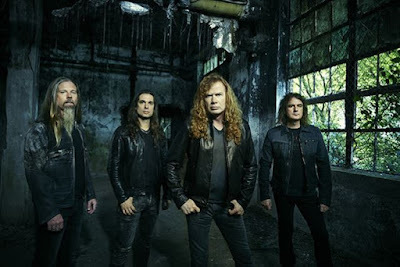 Ellefson added: "Jason Newsted, when he was in Metallica, had a great saying. He said, 'A fist packs a much harder punch than four or five fingers individually. So the impact of people staying together as a team is really, really important in your career."